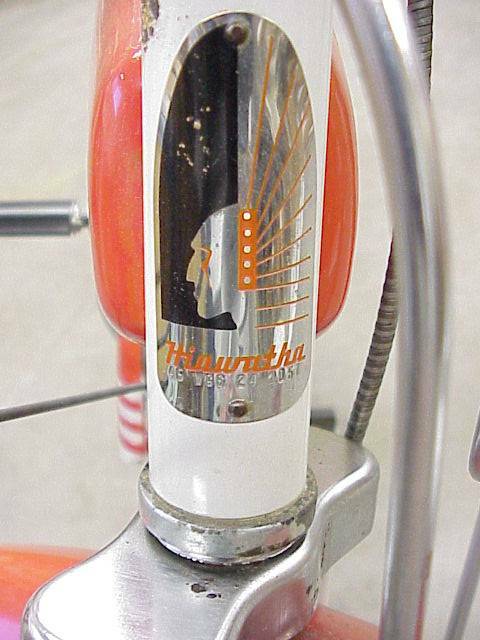 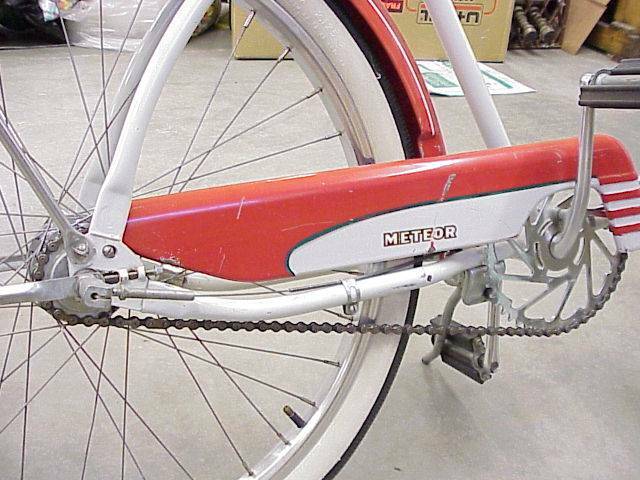 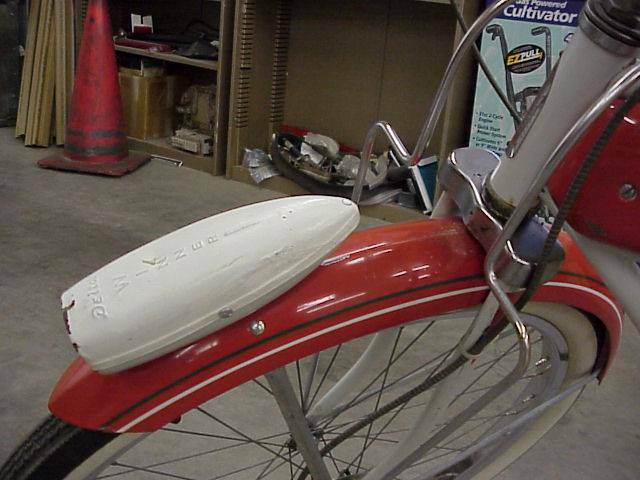 This 1950’s balloon tire Hiawatha Meteor bicycle was a mid-range priced model sold at Gambles Hardware stores. 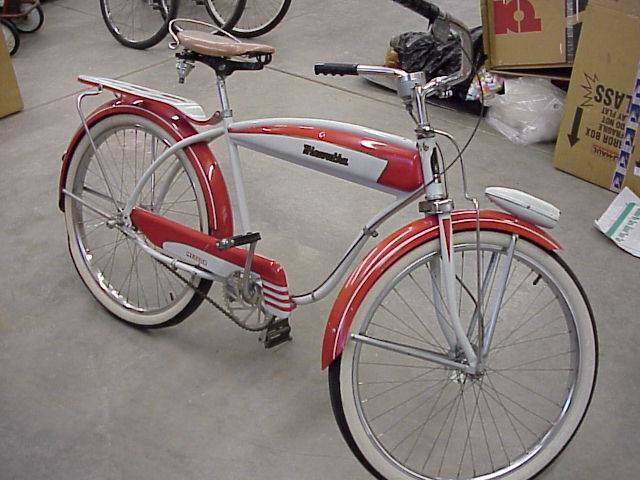 While it does not feature a springer fork or chromed fenders, it still does offer a tank, two tone paint, Delta “Winner” headlight, Bendix 2-speed lever shift rear hub and crash bars on the fork, carrier and the seat. 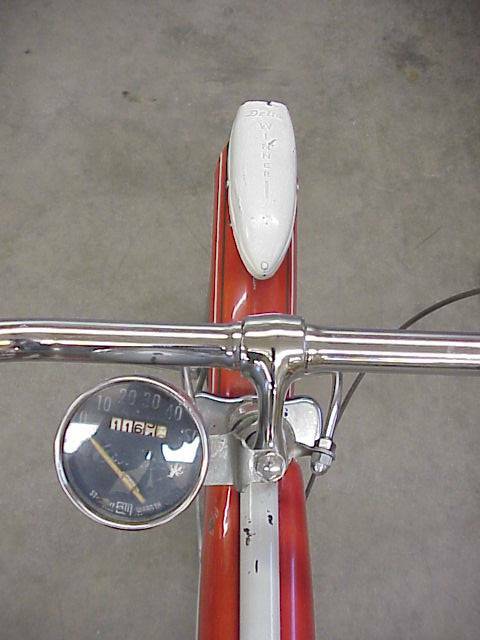 The Stewart Warner “Cadet” speedometer was an aftermarket accessory. 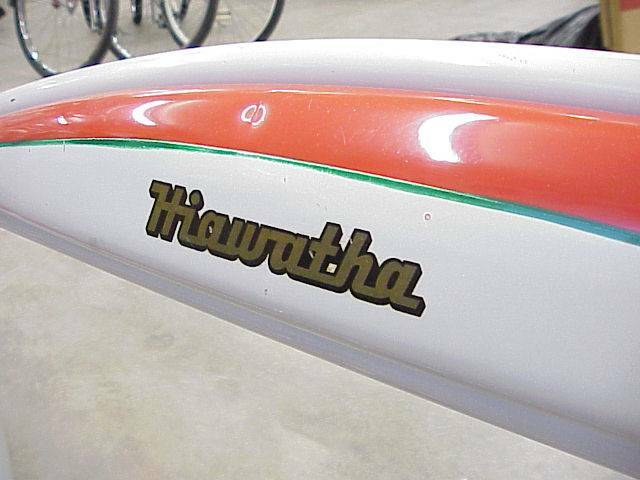 This bike was very well cared for as is evident by the very nice original paint. 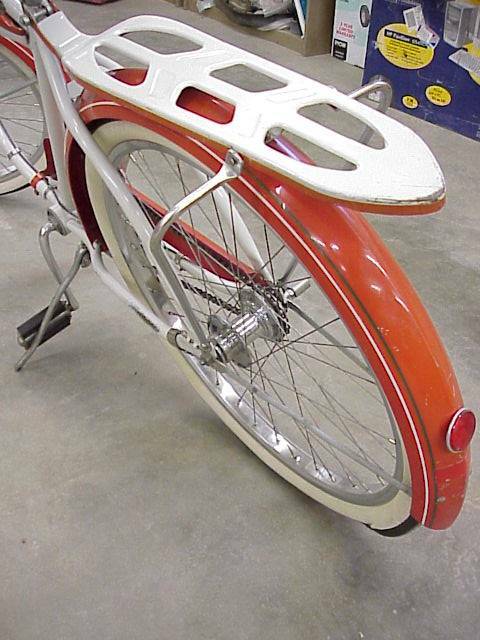 The seat and even the tires appear to be original.